Maritime security is a priority for the EU as the world’s largest trading bloc and as a global security provider. India is an important partner for the EU and the recently adopted India Strategy seeks to further strengthen and expand this partnership. Against this background, a French military vessel visited the port of Mumbai and hosted a group of EU military representatives on 24 January to promote the EU’s role in fighting piracy and in contributing to maritime security in the Western Indian Ocean. The port call was conducted by the French anti-aircraft destroyer FS Cassard. A delegation of European Union military representatives visited India for the first time on this occasion and met their Indian counterparts in Mumbai and New Delhi. They discussed military developments and defence cooperation, with the common interest of promoting maritime security in the Indian Ocean as a particular focus. The EU runs, since December 2008, a naval operation off the coast of Somalia to fight piracy, i.e. Operation Atalanta or EU NAVFOR. 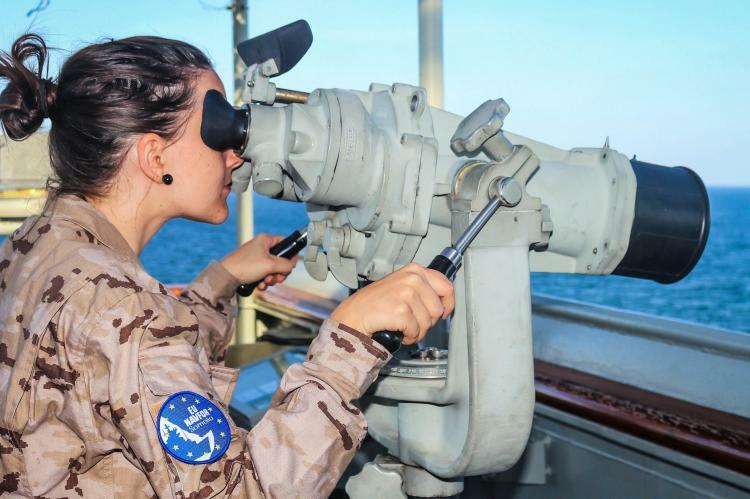 Military vessels, aircraft, equipment and soldiers are fielded by EU Member States and third parties under common EU organised control and command structures. Atalanta has significantly contributed to reducing piracy off the Horn of Africa and in the Western Indian Ocean. It has also ensured the safe delivery of food aid to refugees in Somalia. FS Cassard, the French anti-aircraft destroyer that conducted the port call to Mumbai, is to soon provide associated support to the Operation. The EU’s Operation Atalanta and the Indian Navy have started working together in practical ways. In December 2018, the Indian Navy escorted and ensured safe delivery of vital humanitarian aid, following a request by EU NAVFOR. Also, the Indian Navy’s Information Fusion Centre for the Indian Ocean Region (IFC-IOR) has been linked with the Maritime Security Centre – Horn of Africa (MSC-HOA) established by EU NAVFOR. India is an important partner for the EU in many areas, including in its endeavours to strengthen security cooperation in and with Asia. Both parties work together to support and promote effective multilateralism and a rules-based global order founded on shared values such as democracy, human rights and fundamental freedoms. The EU delegation to Mumbai and New Delhi was led by Major General Daniel Grammatico, Director of Operations of the EU Military Staff, EEAS, and Read Admiral Giuseppe Rapese, Deputy Operation Commander of EU NAVFOR.